There’s nothing more relaxing than an hour's horse riding across the Kildare countryside, enjoying the peaceful sights and sounds of nature. 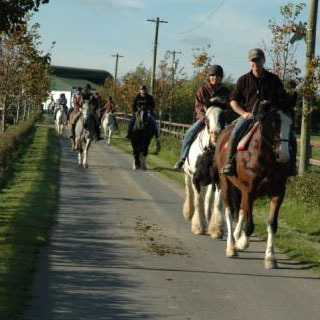 Whether you are an experienced horse rider or a first timer at trekking, Abbeyfield Farm in Clane Co. Kildare is the perfect place to enjoy this equine experience. 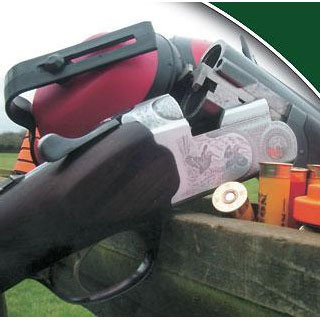 Friendly and expert staff will select a horse that suits your experience and stature. 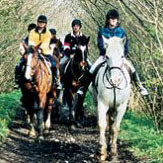 They will then ride out with you through the fields, trails and quiet country lanes surrounding the farm. Riding Helmets provided. Please bring outdoor weather clothing and flat soled trainers or shoes. The duration of this experience is approx. 1 hour. Use this gift voucher on AllGifts.ie to order an Abbeyfield Farm gift voucher, and then make a booking directly with Abbeyfield Farm. Or you can swap for any other gift or voucher listed on the AllGifts.ie website. Abbeyfield Farm gift vouchers are posted out free of charge once ordered. Standard opening hours 8am - 5pm, however there is a possibility of later opening hours depending on numbers, call Daragh or Suzie in Abbeyfield farm on 045 982560 for further details. From Naas: Follow out the Clane / Sallins Road into Clane. Follow the sign post for Cellbridge / Maynooth Road. We are one mile out of Clane on the left hand side. Green sign saying 'Abbeyfield Farm'. From M4 / Galway Road: Turn off at Maynooth junction, follow the sign post at roundabout for Naas / Clane. First stop sign, is at Barberstown Castle junction. Turn right and we are exactly 2 1/2miles heading to Clane on the right hand side. From M7 / Naas Road: Turn off at Straffan / Kill intersection and follow into Straffan Village. Go straight through Straffan onto the Clane / Cellbridge Road at the Barberstown Castle junction. Turn left towards Clane, we are 2 1/2 miles along on the right. 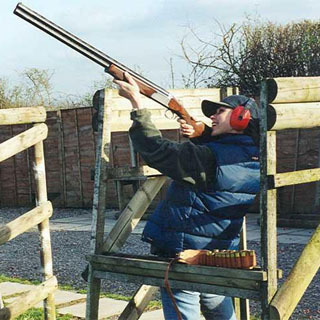 Abbeyfield Farm is the leader in Country Pursuits in Ireland. 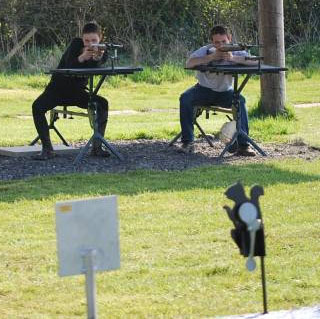 Based in Clane, Co. Kildare, just 40 minutes from Dublin city centre, experience country pursuit activities such as horse riding, clay pigeon shooting, archery and the air rifle range in the safe and enjoyable company Abbeyfield's experienced and friendly staff. 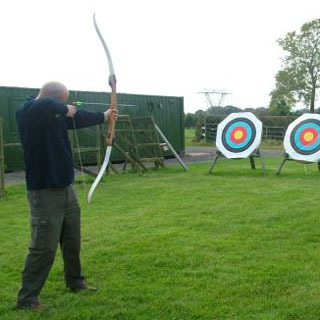 Abbeyfield Farm caters for all levels on all activities – from the absolute beginner to the experienced outdoor pursuit expert.